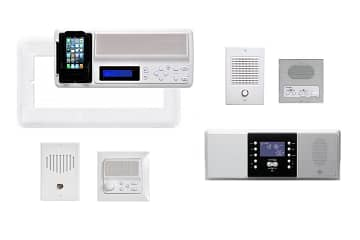 Our replacement intercom systems provide full or partial intercom kits to upgrade your existing system. 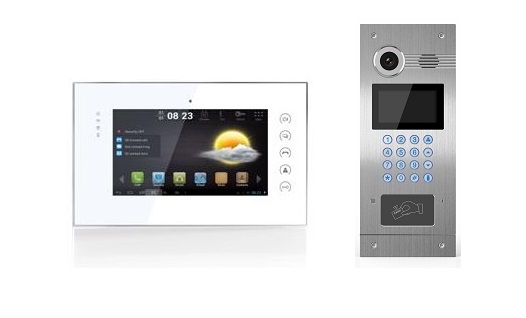 Many of our replacement systems can be installed using the same wiring from the previous intercom system. 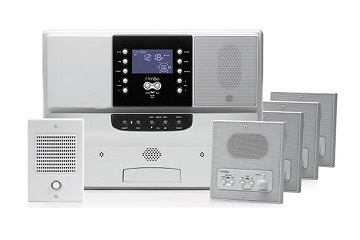 Replace an entire intercom system or simply add to it with our various intercom systems available. 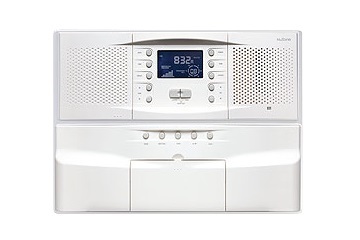 Our music intercom systems contain an AM/FM radio with preset options available. 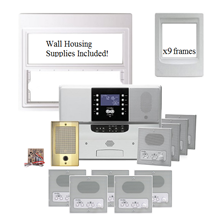 These systems provide background music or audio to an entire home or facility. 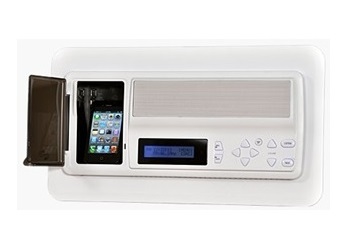 Consider viewing our music intercom systems for easy plug-and-play music options. 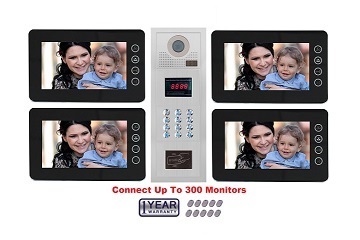 Numerous facilities such as colleges, schools, hospitals, apartment buildings, condominiums, town houses, single family homes, office buildings and churches can fully benefit from the addition of a video intercom system. Facilitators can monitor for suspicious activity, or video footage can be saved for future review as needed. Our video intercom systems not only offer two-way voice communication, but they also allow visual supervision of those entering and exiting a facility. Having a video intercom system allows one or more entries to be monitored from a remote, comfortable location. Our IP Video Intercom System allows property owners and managers to control access remotely using cellphones or other electronic devices. Never miss a beat, even while you are away with an IP Video Intercom System. Our multi-tenant BE Series CAT5 Building Video Intercom system is designed for any facility with multiple tenants or high traffic. 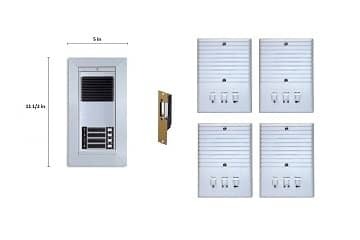 As many as 16 entry door units can be installed with this system for 24 hour security. 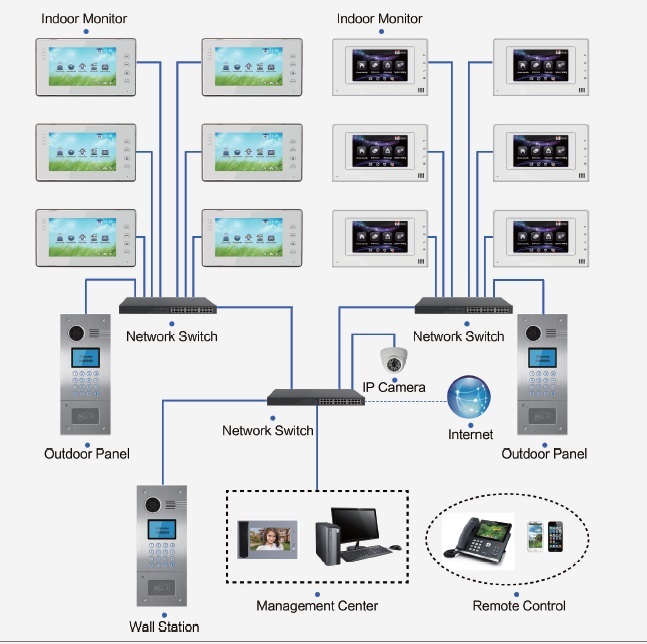 Our MT Series 2 Wire Video Intercom System offers single button call for up to 28 tenant units. Residential homes and tenant units can also benefit from the security that a video intercom system provides. We offer system configurations for single tenant or commercial facilities, two tenant, three tenant, four tenant units and of course multi tenant options for larger complexes and commercial facilities as well. 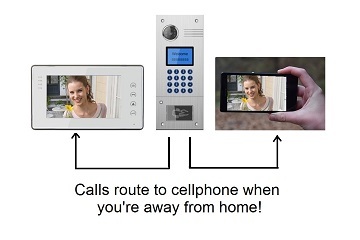 Wireless video intercom allows homeowners, single tenant property owners, and small commercial business property owners to provide secure access control to family members, tenants, employees and more. Motion detection instantly streams video footage to video monitor or smartphone depending on which system is chosen. 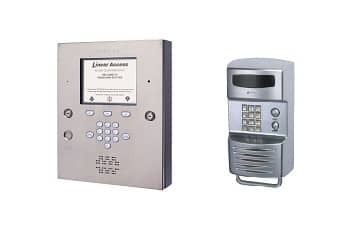 With a WiFi signal smart video intercom system or a radio frequency video intercom system, wireless video intercom boasts simple installation and affordable, secure access control. View our wireless video installation manuals to learn how simple it can be to incorporate access control into your valuable properties. Professional Installation Options in your area!